When the anointing of God rests on human flesh, it makes everything flow better. One of the clearest pictures of the anointing and its purpose in the Bible is provided in the Book of Esther. 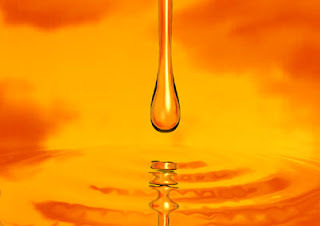 When Esther was being prepared for her presentation of the king of Persia, she was required to go through a year of purification during which she was repeatedly soaked in fragrant anointing oil (ironically using virtually the same ingredients of the Hebrew’s worship incense and anointing oil). One year in preparation for one night with the king! A logical side benefit of all those soaking baths in perfumed oil is that every man who came near to Esther would think or say, “My, but you smell good.” Nevertheless, Esther wouldn't give them the time of day for the same reason that you and I should never be distracted by the pursuit of man’s approval! It is far more important that the King approve of you than the people. David was anointed by God long before he was crowned by the people. He sought God’s approval over man’s! Tenney writes: We have prostituted God’s anointing too many times. We prepare for Him and we soak in His precious, sweet-smelling anointing, but then all we do is parade it around for man! We end up flirting on the way to the chamber of the king and never make it. Seduced by other lower, lovers. We need to remember that our Kings is not going to have “soiled goods.” I’m saying that we prostitute the anointing in the sense that we say, “That was good preaching!” or “That song was really good!” and we give man the glory and the attention (or we seek man’s glory and attention). Even our services are structured to please man. The anointing really does do a lot of wonderful things in our lives, and it breaks the yoke of oppression. But that is only a by-product. It is much like when I splash cologne on for my wife. The by-product is that I smell good for everyone. But the purpose of the perfume was for her, not them! The problem comes when we use it to impress and flirt with one another, overlooking the primary purpose of the anointing, which is to camouflage the stench of our own flesh. This is some strong and vibrant language. I do not always agree with Tenney! However, this is a view of anointing that I have never thought of before. What do you think? Agree? Disagree?